The basics of learning how to read are not all that basic. Often times we, as parents, try to help our children to learn how to read but just don’t know where to start. Understanding how the reading process works might help you in understanding what you can do to help your child become a confident reader. Reading has five essential components. Therefore this will be a 5 part blog. Each week I will explore a new part of the basic components of reading. That way you can take a week to explore and reflect on each of these components with your child! 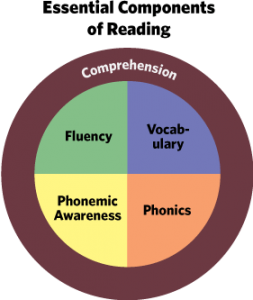 The 5 components of reading are: 1) Phonemic Awareness 2) Phonics 3) Fluency 4) Vocabulary 5) Comprehension. This week we will explain and explore Phonemic Awareness. 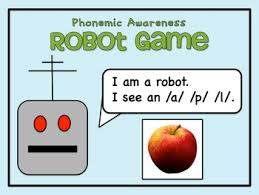 Phonemic awareness has to do with phonemes, which are the smallest units that make up spoken language and which we combine to form syllables and words. Following in a guide to help you know your child’s phonemic awareness skills and what are some things you can do to help your beginning reader. Go through the questions and check to see where your child is currently in his or her reading journey. Once you have identified which areas are their strengths and which areas may need a little more support, you can start reinforcing those areas and helping your child along in their quest to learn how to be confident readers. -Does your child know his letter sounds? Basically, if you say “What sound does the letter A make?” can your child say /a/? -Can your child identify the beginning sound of a word? Basically, if you say cat, can you tell you that it starts with an /c/ sound? -Does your child recognize rhymes? Can they create their own rhymes? Basically, if you say “Do cat and hat rhyme” will they say yes (and understand what they are referring to)? Basically, if you say “What rhymes with cat?” can they answer hat, bat, rat, or any other rhyming word? -Can your child identify the ending sound of a word? Basically, if you say cat, can you tell you that it ends with an /t/ sound? -Can your child identify how many words are in a sentence? Basically, if you ask your child to tap or put a finger up for every word they hear in a sentence like “I like cookies.” Does your child show you 3 fingers? -Can your child put parts of a word together, or blend them? Basically, if you say “listen as I say two small words and then put them together to make a bigger work for me. Rain…bow…, does your child answer rainbow? -Can your child segment, or tell, how many syllables are in a word? Basically, can you say “clap the word rainbow. Can your child clap 2 times and tell you or show you two? -Can your child identify the middle sound of a word? Basically, if you say cat, can you tell you that the middle sound is an /a/ sound? -Can your child identify which word does not belong in a group or category? -Can your child delete a sound from a word? Basically, if you say to your child “say mat. Now say mat without the /m/. Can your child respond -at? -Can your child add a sound to a word? Basically, if you say to your child “say park. Now add /s/ to the beginning of park?” Can your child answer spark? -Can your child change out, or substitute a sound in a word? Basically, if you say to your child “the work is mug. Change the /m/ to /r/ what is the new word?” Can your child answer rug? If your child is struggling in one or more of these areas, here are a few ideas of things you can do to help them. 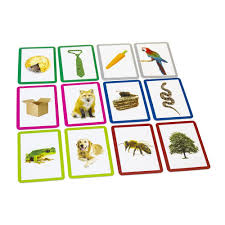 Play word and sound games with your child. 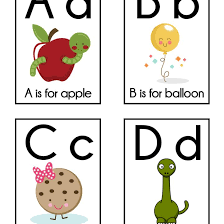 Using letter flashcards or picture cards can be fun! Play games with beginning sounds. Help your child think of words that start with the /b/, /m/, or other beginning sounds. Make up silly sentences together with words that begin with the same sound. For example “Franny had funny feet”. Play rhyming games. Teach your child that a word rhymes if they sound the same at the end. Come up with rhymes together. You may have to start by having them repeat your rhymes. For example hat, bat. Dog, log. Red, bed. Etc. Play blending games together. For example you can say “put these sounds together to tell me what’s the word, d/, /o/, /g/” They should answer dog. Practice the alphabet. Point out letters in everyday activities. Use flashcards, have them point them out to you. Use apps or a computer to help your child stay motivated. One of my favorites for phonemic awareness is STARFALL. If your child is pretty good at all of the activities above he or she is ready for phonics, which is the next step in the reading process! Come back for Step 2- Phonics!